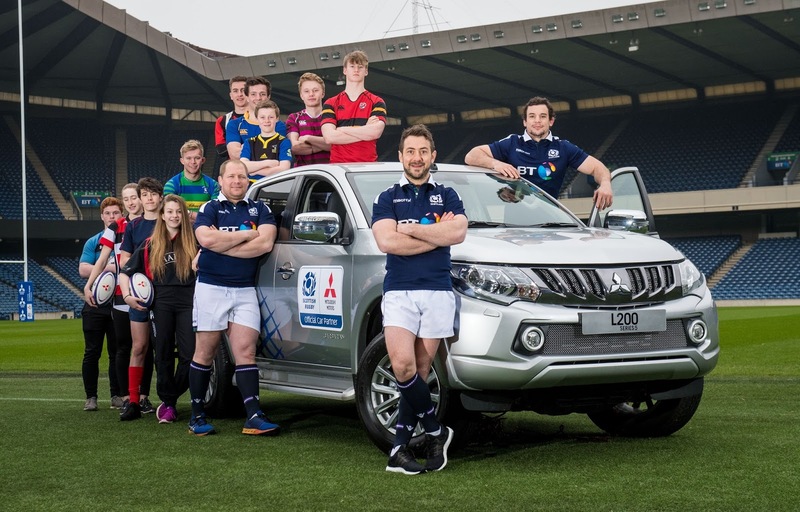 Today at the home of Scottish Rugby, Mitsubishi Motors in the UK has been unveiled as an Official Partner of Scottish Rugby. The partnership will kick off in May and see the Japanese car giant put its full support into youth rugby in Scotland as the title sponsor of the Schools & Youth Conference - alongside supporting all levels of the game from grassroots, the professional game, to the elite squad. The Mitsubishi Motors Schools & Youth Conference programme has enjoyed two years of success since its launch in 2015, with over 250 clubs or schools taking part last year alone. As well as their involvement in the Conferences, the Mitsubishi Motors franchised dealer network will work closely with grassroots clubs across a number of additional projects. The partnership will see a ‘kit for clubs and schools’ scheme, providing them with access to training and match kit to further develop Mitsubishi’s involvement at the heart the game. 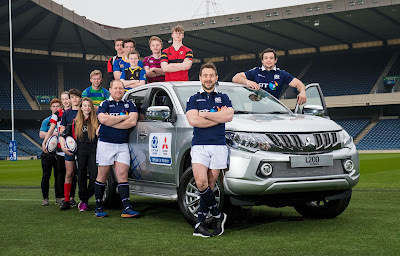 Furthermore, the Japanese car brand will provide a fleet of vehicles to support Scottish Rugby’s network of development staff across the country from Inverness in the north to Ayrshire in the south, Glasgow in the west and Borders in the east. Aligning its vehicle range with the programme, Mitsubishi’s range of car brands will be used to name each of Schools & Youth Conferences, which last season saw over 2,200 matches played involving 275 clubs and schools. The new deal further reinforces Scottish Rugby’s links to Japan after signing its landmark Strategic Alliance Agreement with the City of Nagasaki in August 2016 which will see the Scotland national team hold a pre Rugby World Cup 2019 camp in the city ahead of the tournament. Lance Bradley, Managing Director of Mitsubishi Motors in the UK, said: “We are very excited to become Scottish Rugby’s official partner. The partnership comes as a natural progression for us within rugby in the UK. We are delighted to play a part in the future of Scottish rugby, particularly as their pioneering approach to Youth sport mirrors the innovative culture at the heart of our business. We’re looking forward to being involved in Scottish Rugby at all levels of the game, particularly in the build in to the Rugby World Cup in Japan in 2019”. Already involved in the sport, Mitsubishi Motors has been a sponsor of England Rugby since 2016 and Gloucester Rugby since 2005. Mitsubishi Motors also holds partnerships with both Edinburgh Rugby and the Salford Red Devils.